AIEA, the Association of International Education Administrators, is the only association in the world focused exclusively on professional development, advocacy, information sharing and networking for university leaders charged with strategic and comprehensive internationalization of higher education. In furtherance of this mission, AIEA offers its members the opportunity to participate in the AIEA Senior Advisers Program (SAP). This professional development program connects seasoned AIEA members—recognized leaders in international education—with AIEA members who are newer Senior International Officers (SIOs). The Senior Advisers Program provides experienced and newer SIOs with an opportunity to engage in direct dialogue while learning from each other throughout the academic year. AIEA members who are within their first three years of serving as an SIO or as an SIO at a new institution are eligible to apply to participate as Advisees in the AIEA Senior Advisers Program. Applicants are selected upon a first come-first served basis according to Adviser availability. AIEA members who have served as SIOs for 10+ years at higher education institutions are eligible to apply as Advisers. Seasoned SIOs from 2- and 4-year institutions are especially encouraged to apply. Those interested in serving as Advisers should contact the SAP coordinators, and will be asked to complete an online application. Application information for new Advisers and Advisees will be announced in September, with applications due October 16. 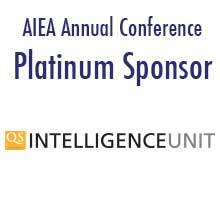 The advising year begins at the AIEA Annual Conference in February, and runs for one year. If you have any questions, please contact the SAP coordinators, GianMario Besana ([email protected]) and Hong Yang ([email protected]). To access the Senior Adviser Program page, you must be an active AIEA member. Please click on the link below and log in to access the page. If you don't know your login, information on how to retrieve your username and password is available.